THE PIANISTIC VOICE of Huw Warren has, over the years, been a source of joy. His discography alone points to an exploratory spirit whose expertise in coalescing jazz, classical and world music has illuminated so many projects – from Perfect Houseplants and Quercus to his own solo outings and ensembles, and as a major contributor to albums by June Tabor, Maria Pia de Vito and Christine Tobin. So when this particularly intimate and personal recording was first mooted, many months ago, its ‘wait in the wings’ was monitored with keen anticipation. Recorded in the Cardiff University Concert Hall, most of this album’s twelve pieces are Warren’s own compositions and, as such, might easily portray the mercurial beauty of his beloved North West Wales environs – steep, harshly angular slate panoramas of quarries contrasting with sparkling lynns which quietly nestle between soaring green valleys. Yet, typically, there are also infusions of South American vivacity, as well as English pastorale/salon music, flashes of prog rock and a reverence for J S Bach, with the feeling that it’ll take some, very enjoyable time to delve into all of their fine details. In fact, it’s finesse which is the hallmark of Warren’s varied musical expressions, whatever the tempo. Hermeto Pascoal’s O Farol Que Nos Guia is lavished with both a grandeur and a lyricism which flows like a mountain stream, whilst Brazilian dance is celebrated in his own Against the Odds, full of memorable, ornamented melodies and leaping cacuriá-style rhythms. The pianist’s intriguing titles ( à la ‘Hundreds of Things a Boy Can Make’) continue with The Book of Strange New Things, a lush, mystical interlude leading to EE whose light-hearted elegance suggests Sir Edward Elgar’s cycling jaunts across the Malvern Hills – somehow Huw Warren’s chromatic melodies capture the essence of the composer’s genteel miniatures, but with a nod to his great symphonic works. And a six-minute interpretation of Bach’s Prelude No. 8 in E flat minor (BWV 853) (also recalling the Modern Jazz Quartet’s impression of the same) finds Warren romantically colouring each twilight line whilst teasing out those spine-tingling falling-bass phrases. Brief, scree-sliding adventure Onwards and Sideways is reminiscent of both Ginastera and Keith Emerson; Dinorwig Dreams references the huge former quarry in Warren’s locale with bright, bustling activity and then quieter reflections of its past; and impressively darting tango, The Bulgarian Stretch, is a stand-out maelstrom of whirling high lines and Bachian glints. Rolling Fernhill feels like a jazz piano classic from a distant memory, its beautiful dancing tune complemented by lush, sunlit chords. There are two tender tributes – Up There (for much-missed pianist John Taylor) and Pure (dedicated to Warren’s brother-in-law), whilst, across eight minutes, the emotional rubato of Noturna (by Brazilian guitarist/composer, Guinga) is exquisitely felt – and received. The title Nocturnes and Visions is spot on. Interpret these 53 minutes as a private piano performance to savour, to take to your heart… to imagine your own, individual landscapes. And I absolutely recommend the view. Released on CD on 26 March 2018, as well as a digital download, and available from Bandcamp. IN MANY WAYS – and in the right, focused moment – the carefree eloquence and clear conversational flow of new duo album Stardust speaks volumes about the absolute empathy and trust shared by two stellar British jazz performers. Career highlights, to date, of saxophonist Stan Sulzmann and longtime friend and colleague pianist Nikki Iles might keep you Googling and scrolling for some time. But here, all of that glittering experience is channelled into the most intimate of musical environments – an unadorned, hour-plus dialogue between tenor sax and piano. And it’s beautiful. Sulzmann and Iles each offer one original work, with their compositional ‘guests’ including Hoagy Carmichael, George Gershwin, Burt Bacharach; and, above all, it’s the improvisational and harmonic elegance – frequently illuminating familiar, timeless melodies across acres of space – which is to be revelled in. Classic Body & Soul is wonderfully luxurious here, with Stan’s rich tenor momentarily having us believe he’s also picked up alto or clarinet, such is the diversity of his range and timbres. 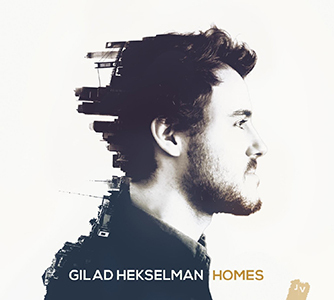 Gershwin’s impassioned, drawling My Man’s Gone Now (from Porgy & Bess) is translated into a more measured blues as Sulzmann’s extemporisations cascade down through Iles’ delicious major/minor chords, characteristic sequences of fourths and delicate high lines; and initially echoing the restrained wistfulness of Bill Evans, Young and Foolish increasingly sparkles to Stan’s mellifluous tenor invention, as does the irrepressible optimism of I Guess I’ll Hang My Tears Out To Dry (away from the sentimentality of its Sinatra/Riddle association). And this nine-track treasury can also dance, with Jerome Kern’s Nobody Else But Me putting on a sprightly, swinging show. Sulzmann’s references to Evans’ Some Other Time and Peace Piece can be heard in Nikki’s Corner – an affectionate, buoyant tribute to his pianist; and Iles reciprocates with Under The Canopy (from The Printmakers’ Westerly release of 2015), its warm, falling and rising melodies inviting Sulzmann to glide broadly and effortlessly across the pianist’s gentlest of samba rhythms. A perhaps lesser-known Bacharach tune, You’ll Never Get To Heaven, unveils its lyrical beauty with an especially limpid piano interlude; and the concluding title track arrangement of Hoagy Carmichael couldn’t be more lucid, delicate or assured. Stardust is not so much a meteor shower spectacular, but rather a delightfully reassuring, crystal-encrusted, dark-sky panoply. And as you fix your attention, it magically reveals subtler, coruscating constellations. Released on 25 January 2016. Available from Jellymould Jazz, record stores and online retailers. 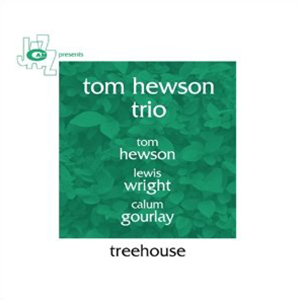 The lofty soundscapes of the Tom Hewson Trio’s debut release, Treehouse – with magical combined timbres of piano, vibraphone and double bass – might evoke white-streamed morning mists and glistening, eddying streams, or equally possess a swinging, quicksilver sprightliness to raise an involuntary smile. It’s certainly an album of precise yet often fearless chamber jazz which demands close attention to its shifting complexities and frequent coruscations of beauty. Described by one of Tom Hewson’s musical heroes – the late, respected John Taylor – as a pianist and “sublime composer” with a “ravishing and daring” style, he cites key musical discoveries which have helped shape his personality and career. As well as Taylor, these include the music of Ravel, Debussy, Paul Bley, Bill Evans, Oscar Peterson, Bud Powell… and such influences become remarkably apparent across this album of ten originals. Hewson’s colleagues, since the trio’s inception in 2010, are Lewis Wright (vibes) and Calum Gourlay (double bass). This project’s unwavering appeal is due in part to the mercurial weave of textures that is possible between the players, suggesting in the first few minutes of opening track Sparticle that any augmentation, especially percussion, might hinder this perfect synergy. Flowing French impressionism here melds easily with bold, syncopated rhythm; and sprightly solo piano passages become organically infused with gently dancing bass and the sustained chimes of vibraphone. The democratic outlook of the trio is another important factor – title track Treehouse, for example, allowing Hewson to become rhythm maker beneath Wright’s glowing improvisations; rockin’-in-rhythm Glitch is predominantly a lively, Oscar Peterson-like piano-and-bass feature until previously subtle vibes flamboyantly (Gary Burton-style) steal the show; and, in contrast, Silver Strands and Gelsomina are both sensitively crafted, raindrop-splashed watercolours, their luscious harmonies possessing paradoxical contentment and melancholy. Interspersing the main features are three solo improvisations from each instrumentalist, offering a window on their raw creativity and the overtones and resonances achievable; Gourlay’s harmonic arco bass exploration, sans effects, is particularly intriguing. Maybe suggesting the livelier side of Bill Evans, Not Relevant‘s bright swing is characterised by oscillating vibes and piano riffs, opening the door for clean-cut piano extemporisations as well as twinkling moments of repose. And Beanie’s Bounce (shades of Bouncing with Bud?) serves as a fabulous curtain call, its crackling verve showcasing each player’s physical and creative dexterity, with Hewson’s audacious, bluesy piano solo spot a standout. You won’t often hear a jazz landscape as simultaneously sincere, eloquent and lucent as this, nor one which throws out shooting-star surprises each time it’s played. A rare and focused treasure from an adventurous British trio. Treehouse is available directly from CAM JAZZ Presents, online and record store retailers, and also iTunes.